It takes a bold spirit to be a pioneer. 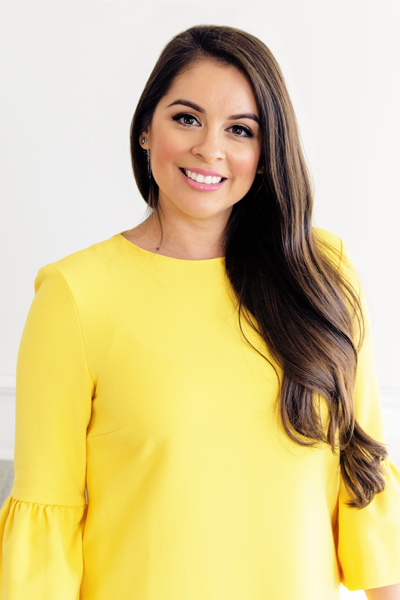 Marisela Garcia, founder and CEO of Iberus, a firm that connects entrepreneurs to top international tech investors, is both bold and fearless. Just ask the investors in Mexico she works with. Back in 2015, when she was just starting to get her company off the ground, she challenged male business leaders claiming to support women in investing and tech. The bold play was a springboard for her company. She had no plans to start Iberus when she took a job with the Mexican government in Guadalajara four years ago. That experience, however, was the catalyst for its launch. Guadalajarans wanted access to Silicon Valley tech firms; they just didn’t know how to get it. Garcia, who grew up in San Francisco and had those relationships, flew back home soon after her epiphany and began working her Silicon Valley connections to bridge that world to Mexico. She began by leading a sister-city alliance between San Jose and Guadalajara, which included co-leading a delegation of Silicon Valley Latinos in tech to Mexico. The experience only strengthened her resolve. She launched Iberus and quickly became a sort of tech investment concierge for Silicon Valley and Latin America tech investors and entrepreneurs. Garcia is perfect for the job. She is as fluent in different international business cultures as she is in different languages, and the former tends to provide the biggest challenges. She quickly expanded Iberus into Colombia, for instance, and found an eager audience of investors. Their approach to business, however, was completely different from Silicon Valley. Garcia’s attempt at educating Colombian investors was hit and miss. Many bristled at being asked to do business “the American way.” “That’s when I had to get super creative,” says Garcia. She formed alliances with different boards in Colombia and Mexico, including the Young Leaders Business Council. She also targeted a younger generation of investors, those in their thirties and forties who understood the need for speed right away. Now, Colombia is firmly entrenched in her increasingly global investor network. After expanding to Colombia, Garcia’s Silicon Valley connections led her to a group of US-based Brazilian investors, who encouraged her to grow the Iberus network in their country. On a 2016 trip to London to meet a group of international angel investors from the UK, Saudi Arabia, and Asia, Garcia learned Iberus had value beyond Latin America. Iberus now includes the UK in its network and will expand into France and Sweden later this year. There appears to be no limit to how far Garcia and Iberus can grow. There has, however, been one challenge that seems to pervade all cultures, and it’s one Garcia continues to fight: tech and investing continue to be male-dominated fields. Even Latino men can be difficult. If anyone can forge a wider path for women in tech and investing, it’s Garcia. She continues to challenge her peers and contacts and founded the Women in Venture initiative to bring together women who are already active in the market. She has also made gender equality a big part of her vision for Iberus. Garcia intends to be at the forefront, challenging the status quo as she grows the reach of her company across the globe.